can be found inside my Dinosaur Activity Pack! 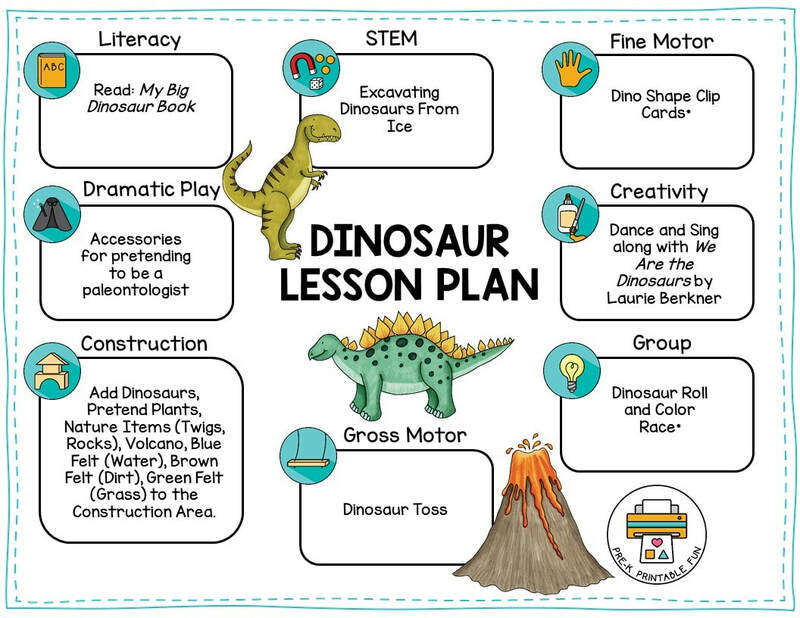 The following Dinosaur related Printables can be purchased in my shop or downloaded in the Pre-K Printable Club Member Download area. Not a member?Join today for unlimited access to all of my printable products. Create a Paleontologist Lab in your Dramatic Play Space. Add Mircroscopes, DIY Fossils, and Bones. Add Dinosaur Books, Posters, and Identification Cards. Add Flashlights, Binoculars, Pretend Shovels, Magnifying Glasses, and Paint Brushes. Dinosaur Dress up: Provide Dinosaur Dress up items such as: Masks, DIY Dinosaur Tails, and DIY Dino Feet. Invite the children to create a Dinosaur Small World Play Area: Add Dinosaurs, Pretend Plants, Nature Items (Twigs, Rocks), Volcano, Blue Felt (Water), Brown Felt (Dirt), Green Felt (Grass) to the Construction Area.